The 10 Best Thrift Shops in North Dakota! There is something about finding a good bargain that makes a purchase that much sweeter. While some people love the excitement of garage sale hunting, others like the controlled and organized nature of a thrift store. If you love the thrill of the hunt, try your luck at one of the following thrift stores in North Dakota! A thrift store and consignment shop in one location, all proceeds from A Cause for Claws benefit the Spay and Neuter Center of Bismarck and Mandan. The store is huge and carries just about any item imaginable. Donations are gladly accepted. All proceeds from North Dakota’s eight thrift stores go to the Dakota Boys and Girls Ranch, a program that helps the state’s at-risk and troubled youth. Each store is well-stocked and impeccably kept, giving you the chance to find the perfect treasure you never knew you needed. All proceeds raised from the Arc of Bismarck thrift store go towards the education, advocacy, and support of area children and adults with disabilities. The Arc offers a wide variety of new and gently used items, with new products stocked daily. With a motto of “give, shop, heal,” the Salvation Army provides the community with another way to support a good cause. Proceeds from all sales benefit Salvation Army programs throughout the state. The Home Place thrift store helps fund the Prairie Harvest Mental Health program, which helps residents of the Greater Grand Forks area. The store is neat, clean, and organized and always willing and able to accept donations. Affiliated with Easter Seals Inc., Goodwill thrift stores exist to help ensure all adults and children have the same opportunities to live, work, and play within their home community. Proceeds from each individual thrift store stay within the local community. Although also associated with the Arc, Thrift-E-Shop is a separate entity. Proceeds still do benefit local adults and children with disabilities, however. For a bonus, the first floor of the building is home Granny’s Closet, a resale venue for new and gently used costumes. A privately-owned thrift store, Fancy Nancy specializes in used clothing and household goods. They are also licensed as an online thrift store, which gives you twice the shopping opportunities. 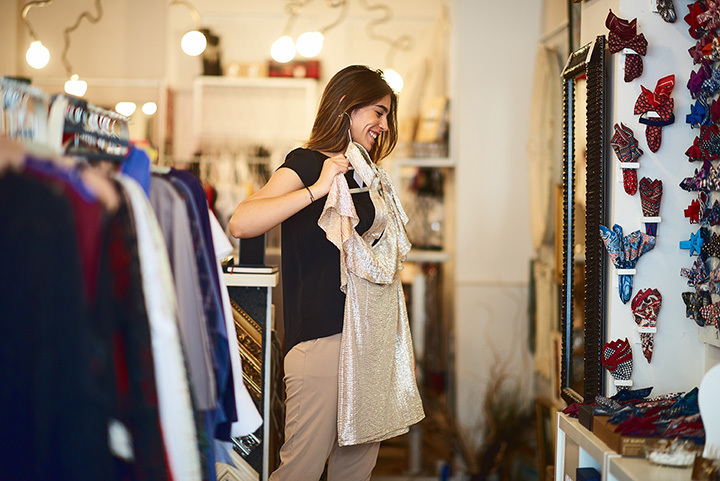 Operating within the mantra of “Shop, reuse, reimagine,” Savers is 80 percent clothing and 20 percent household goods. All products are in great condition and are reasonable priced. Donations are accepted daily. Specializing in clothing, furniture, and household goods, Restore is affiliated with Rehab Services Inc., which is dedicated to helping adults and children living with disabilities. In fact, the Restore thrift store itself is part of the agency’s training program, giving the disabled the chance to learn practical job skills and training.